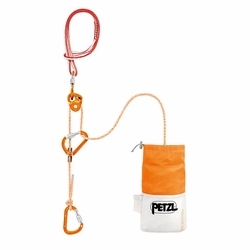 Petzl RAD System. A complete kit with equipment that includes specific cordage, designed for skiers doing crevasse rescue, rappelling or roping up on a glacier. Ultra-light and compact.